During the 2016 Fall semester at RIT, Toronto-based housewares company challenged students to design products for living in small spaces. As condo and apartments grow progressively smaller, there is a greater need for products that help increase efficiency and living conditions of tenants. 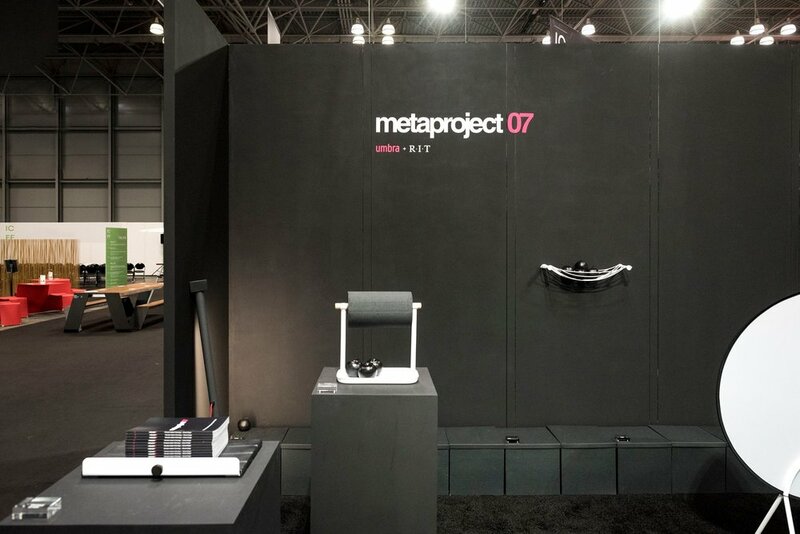 Selected student work was then displayed at ICFF in 2016. In order to accommodate users living in compact spaces, the design needs to be simply engineered, perform a variety of different functions, and have a small footprint. After assessing the design direction and user needs, I used rough 2D thumbnail sketches to generate different ideas. After review, I selected the top three to be presented in my initial meeting with Umbra. After reviewing my concepts and selecting the top three, I presented them to Umbra for feedback. 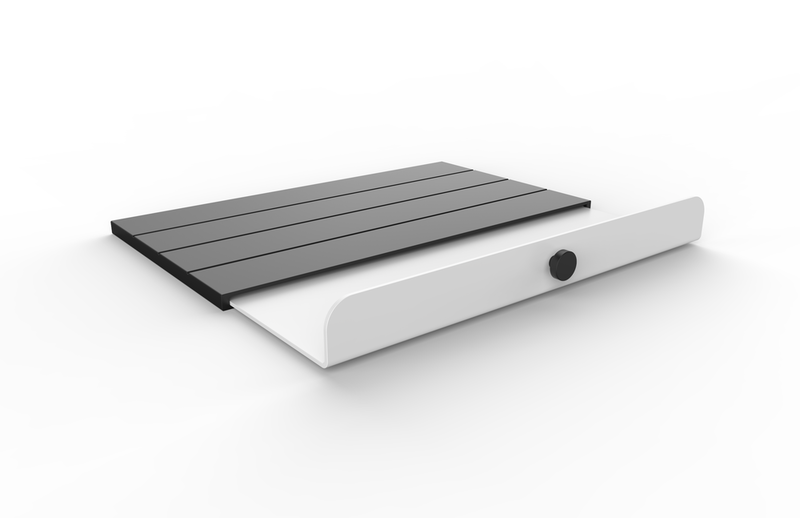 During during the review, they primarily expressed interest in exploring bedside solutions. In particular, how a user might store items such as keys, phones, and chargers in a more convenient manner. 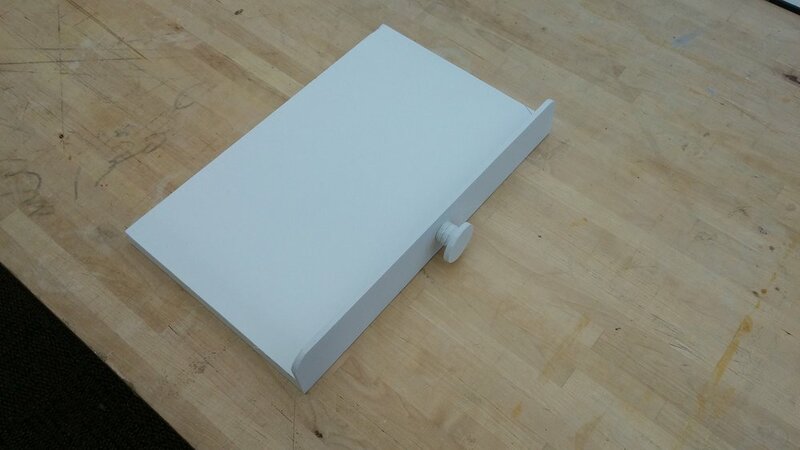 After a second round of thumbnails, I settled on an extending tray that slides under a mattress or into a bookshelf. After settling on a final direction to pursue, I created rough models to figure out the engineering, structure, and overall scale of the design. 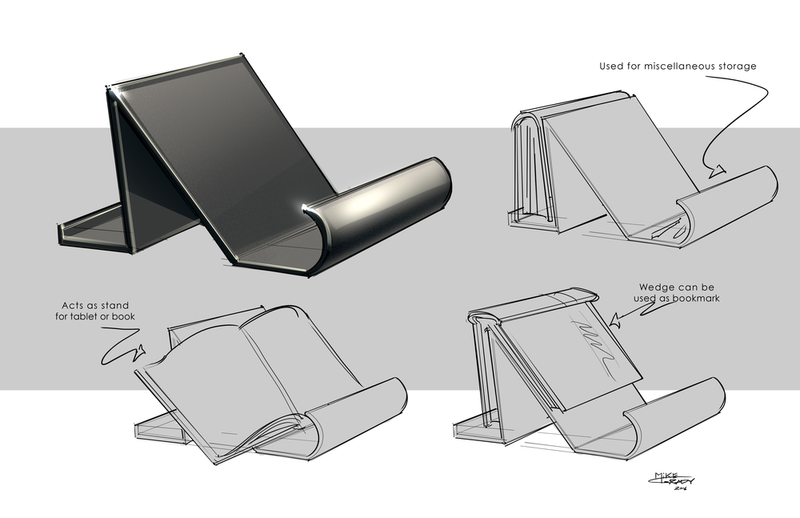 To push the design further, I created a series of early CAD iterations. These served to help refine the engineering, structure, and aesthetics of the design. 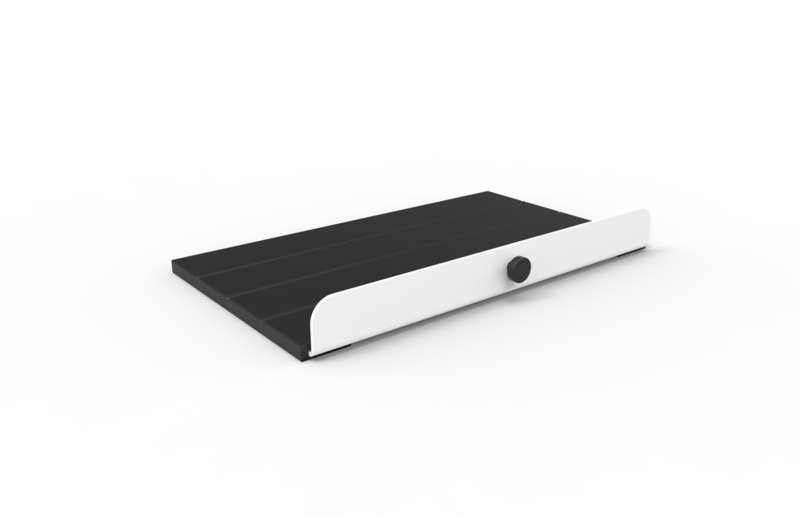 The Ledge is an extendable tray for temporarily storing small items. 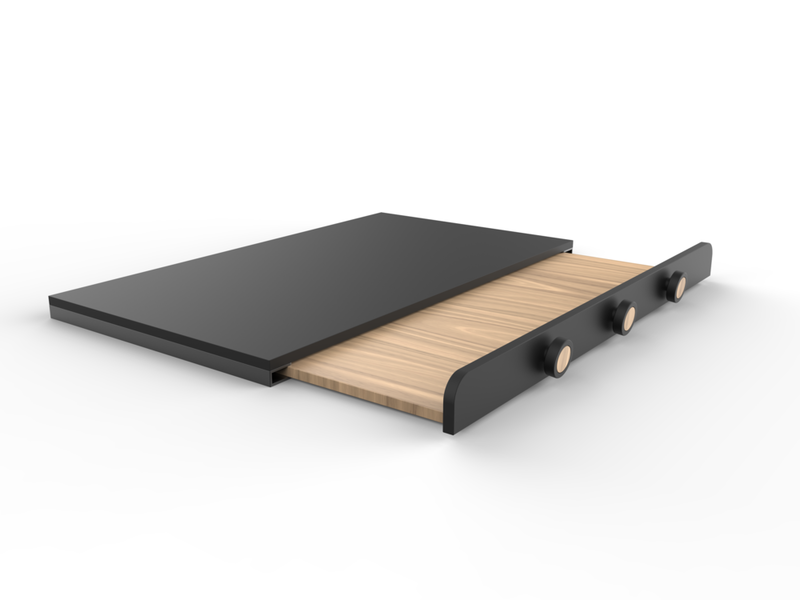 Its thin profile allows it to serve a variety of purposes, such as a bedside tray or an extension of a table’s surface. I created a functioning appearance prototype for presentation to the sponsor. This project was one of the final works selected by Umbra to be shown at the 2016 International Contemporary Furniture Fair.